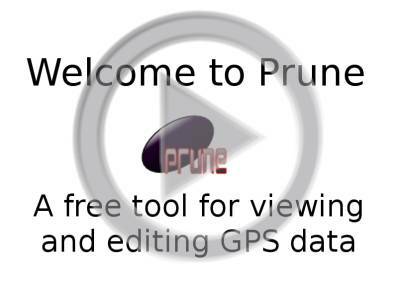 For those who have never used GpsPrune before, or who aren't sure which functions are available, this demo video shows some of the real basics of using the application. It includes how to load a file, how to view openstreetmap images and change to opencyclemap backgrounds, how to view point details and view in 3d, and finally how to save in various formats. The video is in the form of an animated gif, runs for about 2 minutes and costs you 570 kB. Just click on the slide below to start the demo. Page last updated September 2014. Feedback welcome at mail@activityworkshop.net.